In a quiet part of Novalja in a very attractive location near the most popular beaches for young Zrce, we offer you accommodation in well appointed rooms in a private villa Klapaè family. 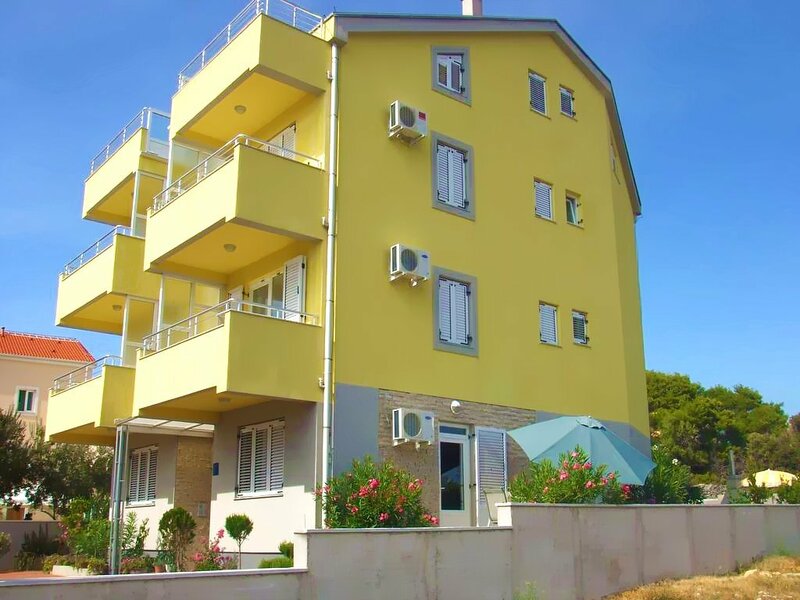 The offer of 6 apartments for 2-6 persons with loggias, part of which has a beautiful view on the city and the bay of Novalja. All are equipped with air conditioning, SAT / TV, Internet (WIFI), private parking and the possibility of using a garden barbecue. We wish you a pleasant and unforgettable vacation in Novalja on island Pag. N +44° 33' 23" | E +14° 53' 25"